ElectricalTT Controlling the temperature of your Home with LED lighting. Controlling the temperature of your Home with LED lighting. For most of use just having a nice bright light switched on in your room gives satisfaction and sense of security and warmth. Have you ever stopped and taught how much energy is burnt to illuminate the light and give you satisfaction. To illuminate a light, energy which equates to a Watt (is the flow of one Joule per second) in the form of watts will have to be exhausted. This exhaustion of energy is mainly extracted to atmosphere “Energy can neither be created nor destroyed; rather, it transforms from another” in the case of lighting it’s transferred to electromagnetic radiation. Quote – “Over-exposure to certain types of electromagnetic radiation can be harmful. The higher the frequency of the radiation, the more damage it is likely to cause to the body” source BBC. Additionally the heat emitted from lighting in the form of Electromagnetic Ration increases the Worlds harmful Greenhouse effect. There is a very easy method to measure and compare immediately the savings and performance of LED lighting to current lighting. When you understand and can copy the method you shall be able instantly prove to any persons who question the validity of swapping to LED lighting. You will be able prove there is no reason for heat loss and for inefficient energy being spent and exhausted. Using a standard Thermometer place the Thermometer beside standard Metal halide light as per figure 1 below. The temperature is recorded. Swap over the Metal Halide lamp for a LED Lamp and repeat the test. The halogen lamps surface temperature (257.4°C) is triple that of LED lamps (78.3°C); The halogen lamps have the greatest impact on room temperature, increasing room temperature by 6.9°C more than LED lamps. Not only are you wasting money by unnecessary raising the temperature of the room we then compound the effect by paying to cool the room. 1. LED lamps will keep the room cooler. 2. LED lamps need less energy to run. 3. LED Lamps are cheaper on our pockets and utility bills. 4. 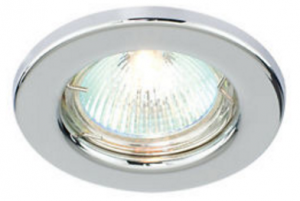 LED Lamps have an immediate positive effect on our lives. It’s not just the negative effects to our bodies and the harmful effects to the Environment is our concern. We are also wasting money, wasting lots of money. Simply put, a 100 watt bulb left on 24 hours a day for a year will use 876 units of electricity, which at (say) 15p per unit would work out at £131.40. Replace the 100 watt bulb with a 10watt LED lamp, left on for 24 hours a day for a year will use 87 units at 15p per unit would cost at £13.14 – a 90% saving. 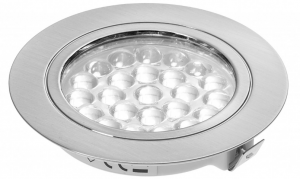 The 10watt LED lamp will produce the same amount of light for 10% of the cost.